Copper Blues Live, a new entertainment venue and restaurant under construction at Desert Ridge Marketplace, will open at the end of November. The debut act: Arizona's own David Spade. The comedian and actor will perform on Nov. 23, the venue announced Monday in a news release. Tickets go on sale at 8 a.m. on Friday, Oct. 26, and can be purchased at cblive.com . A grand opening is also planned for that day. The 11,000-square-foot venue is divided into two spaces: a restaurant "in the round" with a full bar and a 270-degree view of the stage, and on the other side: a "dynamic, state-of-the-art music, comedy and multi-use venue with the latest in lighting and video technology," according to a news release. It will be located in the Barnes & Noble, Charming Charlie's and Dave and Buster's wing. The venue says it will have nightly entertainment in the restaurant, which will be open from 11 a.m. - 2 a.m. daily. 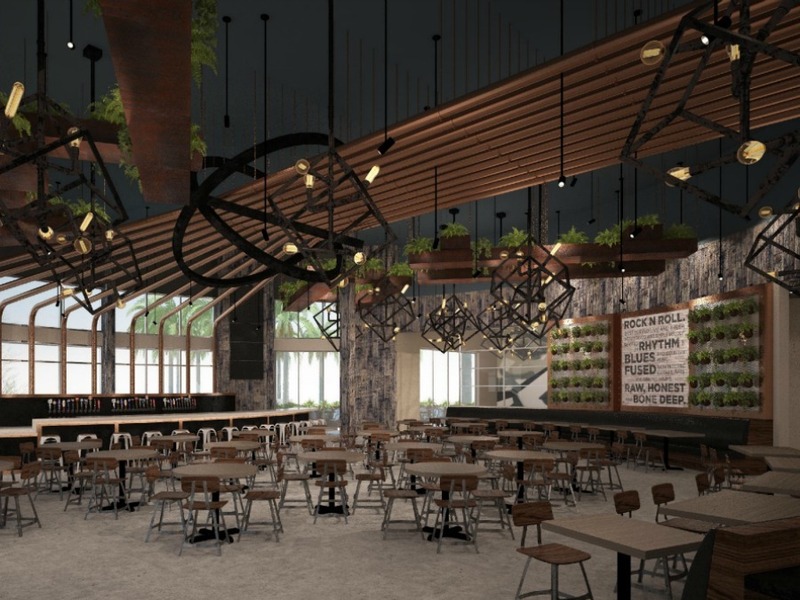 The kitchen will specialize in "chef-driven comfort food favorites with a healthy twist." Looking for a job? The venue is looking to fill all front- and back-of-house positions. A hiring fair will be held Oct. 20-24 from 11 a.m. - 7 p.m. at the venue. Resumes can also be emailed to hr@cblive.com .